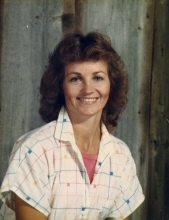 Clara Isabelle Davis Harris, age 65, of Billings formerly of Winnett, passed away Thursday, January 31, 2019 in Billings. Clara was born to James “Jim” Davis and Maryanna (Hamilton) Davis on August 3, 1953, and was the fourth of five children. Her parents ranched in the Breaks northeast of Winnett raising cattle and operating a cattle and hay trucking business. Clara loved the country and grew up playing in the hills with cousin, Bill Mosby, and her brothers and sisters, riding horses, and playing “store” in a ring of rocks they built on a hillside. Her parents’ neighbors, John and Nan Marty, would ask Clara to saddle up horses for their grandkids when they came for a visit from Washington, and take them riding in the Breaks. Clara loved this “job” and developed a friendship with John and Nan’s granddaughter, Molly Grove, which would last the rest of Clara’s life. Clara attended school in Winnett for all twelve years, and was on the basketball and track teams. There were many people that were special to her, but her close relationship with Sid Weingart (Leavitt) was another one that led to many hilarious adventures, and lasted a lifetime. Clara graduated from Winnett High School in 1971, and married Bill Harris of Grass Range that same summer. Bill and Clara had both been working for Bub Nunn, and stayed on for a year or so after they were married. Their first home as a couple, was the cabin at Carl’s Camp. They were treated to a Shivaree at the MacArther Camp soon after their wedding: they were staying in a sheep wagon that had been used as the cook wagon, while the rest of the cowboys stayed in the cabin; one night while they were sleeping, the other cowboys hooked the sheep wagon up to a pick-up, and drug it around camp at a high speed, making several laps and nearly tipping it over! Clara would tell you these were the best days of her life. Being horseback in the Breaks day after day with Jay, Jess and Jerry, and other good hands and good people, were some of her fondest memories. Clara had an incredible work ethic, getting up early, staying up late and not sitting down in between, unless company stopped for a visit. She was glad to work in town a little if necessary to help with the bills, and enjoyed working at Al’s Bootery in Billings and Little Montana Café at Grass Range. One year she took on management of the Sleeping Buffalo Hot Springs & Resort at Malta when Bill was buying cattle on the High Line. Clara hired Bill as a part-time lifeguard, and even taught him to swim! Their first daughter, Addie Rae, was born in October of 1974. Bill and Clara got the chance to ranch on their own in 1975 when they leased the Walker place north of Teigen. Heidi and Destry were born while they were there (in 1976 and 1978). Clara threw herself fully into that place, turning the old Walker ranch house into a home with handmade decorations and a garden. Besides the ranch work which she loved helping with, she put in long days perfecting her bread recipe, sewing dresses for her girls, decorating wedding cakes for a little spending money, teaching Sunday School at the Lutheran Church in Winnett, and keeping her family well photographed. She played the guitar and sang, mostly at home, but occasionally at birthday dinners or at the nursing home in Lewistown. Like all ranch families, chickens, milk cows, bum lambs and calves, and good old ranch horses were the main part of her day-to-day life. It was important to Clara that her kids had a good horse and knew how to handle it at a young age, even though money was tight. For a few years they leased pasture (the Trash Place) on Soda Creek 30+ miles from home. It was a 3-day trail, and Addie made that trail drive at the age of 6, with Clara’s oversight. Saddling up and riding to the Timbered Ridge for a picnic was her choice for how to spend many an Easter or a Mother’s Day. Bill and Clara moved into Winnett and Cori was born in 1985. When Bill started outfitting hunters in 1987, Clara was the hunting camp cook, cooking 3 meals a day for up to 15 hunters and guides. She helped when she could at Crooked Creek Recreation Area from 1987 to 1989. After leaving Walkers’ they leased a couple ranches around Winnett, and ended up running some cows at Flatwillow Christian Community the Spring of 1989. Clara would tell you that God brought these dear people into her life just in time to help her endure one of the greatest trials of her life. On August 2nd, 1989, the day before her 36th birthday, Clara was involved in a car accident that injured her spinal cord and left her paralyzed from the shoulders down. She spent five months in St. Vincent Hospital, and during those difficult months, the Body of Believers at Flatwillow regularly gathered in her hospital room to sing hymns and pray with her. These times brought such encouragement to her, and truly brought her faith in God to the forefront of her life. While Clara’s independence was gone, Clara’s dependence on the Lord and her faith in Him became her strength. Those closest to her saw her frustration with her handicap, but for the most part she maintained a positive attitude and a beautiful smile. She found creative ways to get things done from her wheelchair, from modifying a hitch so she could pull the lawn mower behind her chair to using sticks in her wrist splints so she could play a keyboard and sing. In 1997, her first grandchild was born, and so was a new passion. She drug her caregivers all over the country to be there when each one was born, then to watch their ball games, Christmas programs, school plays, and livestock shows. She never mentioned her discomfort, though there was plenty. The important thing to her was that they knew how proud of them she was. Clara had a sweet spirit, a sense of humor and strength of character that made her truly special. She had a cute way of saying things and telling a story that made her a kick to visit with. She definitely liked things done a certain way, but it was a good way. She had incredible drive, to the very last day of her life. She had an amazing ability to comfort people who were suffering, somehow knowing just what to say. She never lost her ranch mindedness: nearly thirty years in a wheel chair and nearly twenty years living in the city, yet her favorite thing to visit about, after Jesus and grandkids, was still baby calves, good horses, a good crew, and nice weather. She eventually realized the incredible gift she’d been given to share her faith with her caregivers, and many a young girl’s life was changed by the time they spent caring for Clara; some of them for Eternity. She loved the Lord, believed His promises, and did not fear death, even when she was faced with it. Clara is survived by her four children: Addie Harris-Hirst of Miles City, Heidi (Josh) Stroh of Roy, Destry Harris of Mosby, and Cori (Willie) Collins of Melstone; her grandchildren: Shelbie, Claiten and Bethanie Webb; Cassidie and Laramie Hirst; Berkley, Stockton, Leighton and Sawyer Stroh; Brooks and Cruise Harris; Isabelle (Belle) and Emma Collins; her brothers Everett (Sue) Lane of Billings, and Wes (Rhonda) Davis of Billings; her sister Guyla Roberts of Billings. She is preceded in death by her parents, Jim and Maryanna Davis, and her sister Ann Clawson. Should friends desire, memorials may be made to Joni & Friends. To send flowers or a remembrance gift to the family of Clara Isabelle Harris, please visit our Tribute Store. A luncheon will immediately follow the service at the school. "Email Address" would like to share the life celebration of Clara Isabelle Harris. Click on the "link" to go to share a favorite memory or leave a condolence message for the family.